With yesterday’s orientation at Discovery Hill, the CAMN Class of 2016 is officially underway. Meeting the new folks is always amazing, and a source of great inspiration to more experienced CAMN members. Learning what drives them to seek more involvement in natural resource conservation and outreach, what experiences they’ve had, and learning about connections they have to each other – not to mention just experiencing their enthusiasm – is a highlight of the year. Already this group seems to be gelling quite well, and one could see the seeds of some longterm friendships taking root. Discovery Hill seemed a fitting place to kick off the new class. 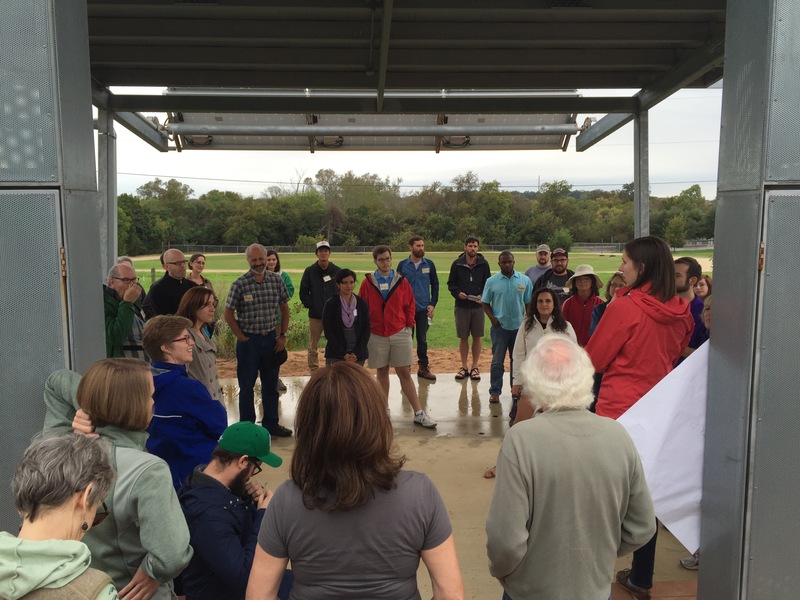 It is a partnership between the Austin Independent School District and the National Wildlife Federation to create and maintain an outdoor education center and field trip destination for students and teachers alike. In just three years, volunteers (some of them CAMN members) created lush native plant gardens with bountiful habitat for birds, pollinators, and other wildlife. 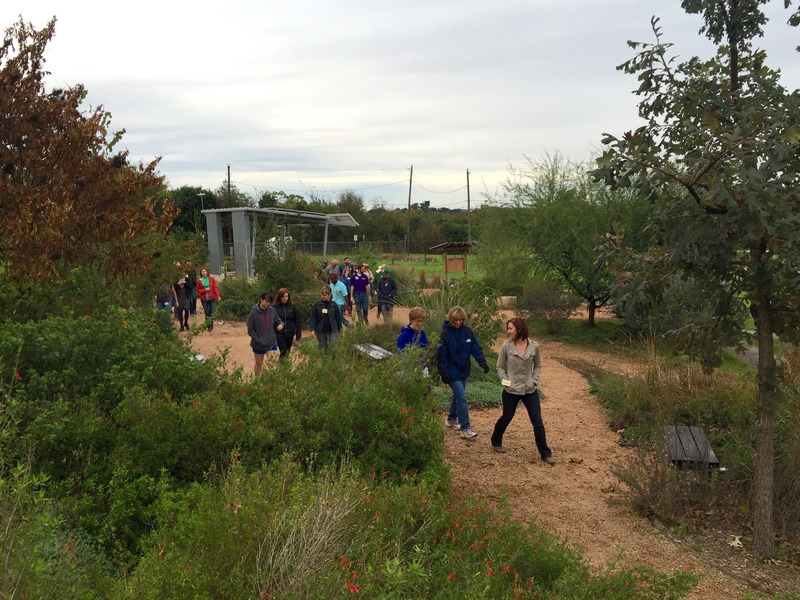 With help from the Native Plant Society of Texas and Westcave Preserve (as well as other funders), gardens were created to showcase native plant communities, with each area within the garden representing the different eco-regions of Texas. Bringing interest (as well as wildlife, and, doubtlessly fascinated children) to the center of the gardens, a stocktank pool features water plants and small fish. The grounds of the gardens, adjacent to Pleasant Hill Elementary School, are open to the public for a casual stroll. 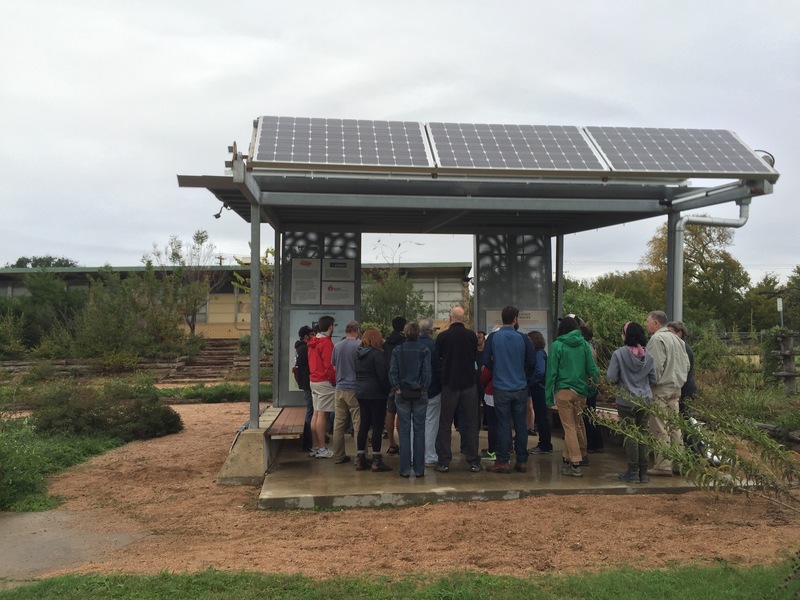 Interpretive signs and an outdoor solar classroom complete the learning environment. One of the presentations we subject new members to features different ways CAMN members have gotten involved in their community. You can watch a version of it here.